This legendary set pays homage to the unreleased G2 Stunticons! Motormaster, Brake-Neck, Brakedown, Drag Strip, and Dead End merge with their new team member Blackjack to form G2 Menasor. 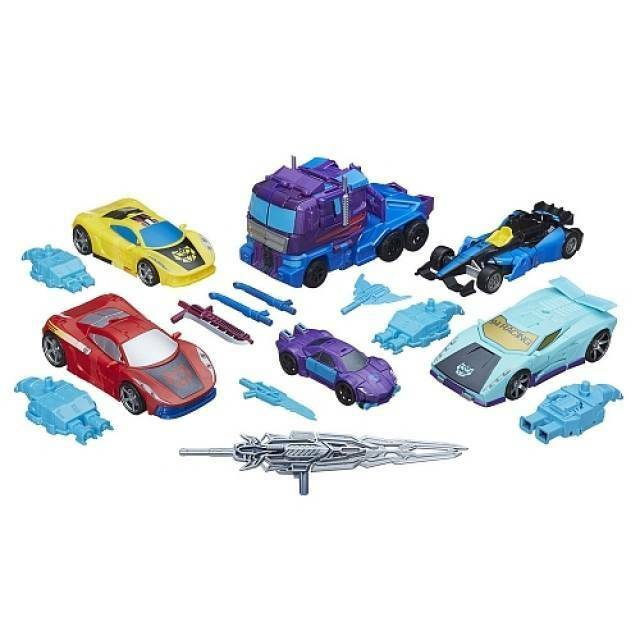 This online exclusive set comes packaged in giftset packaging, and includes all 6 stunticons.